Now that the order granting part of the Superman copyright to Laura Siegel and the Shuster family has been ratified in court, the question is exactly who does benefit the most, in a financial sense. If you said that Laura Siegel does then you'd be wrong, very, very wrong. The one person who does benefit the most is none other than the lead lawyer, Marc Toberoff. On May 10, 2010, a suit was filed detailing the exact carve up of the potential non-DC Superman copyright. Whereas the carve up was, originally, 50% to the Siegels and 50% to the Shuster estate, the reality is that it's now completely different. The suit detailed who now owns what and featured a detailed time-line which had the DC lawyers running to file. The document that launched it all is called the "Superman – Marc Toberoff Timeline" and was prepared by an ex-employee of Toberoff, and submitted to DC in 2008. According to the court filing, Toberoff, "…asserted to the federal court that it was privileged, but his position was rejected," which meant that the timeline was now able to be studied in detail. And the document is damning, detailing as it does a series of Machiavellian moves that now sees Toberoff own 47.5% of the non-DC Superman copright, against the Siegel Heirs, who own 27.5% and the Shuster Heirs, who own 25%. Thus the real winner in this case is the Siegels, or the Shusters, but rather Marc Toberoff, who will cash in with his 47.5% of the copyright and all monies to be awarded, plus future earnings, plus more money for his work on behalf of the Siegels. In short Toberoff, already a very rich man, will become even richer for pursuing a lawsuit, purportedly on behalf of the Siegels, but all the time with the full knowledge, and initial non-disclosure, that he would be benefitting more. In 2000 MT established a separate corporation entitled "Pacific Pictures Corporation" (PPC), with an address of 23852 Pacific Coast Hwy, Suite 555, Malibu, CA 90265. Tel: (310)-589-5151. You will see below that he established this business to solicit his services as an attorney. In 2001, Marc Toberoff (M'T) began researching Superman, who had rights, etc. MT initially contacts Kevin Marks at Gang, Tyre, who represented Joanne and Laura Siegel with an offer for the Siegel rights. Marks discourages Toberoff from any advances, and does not tell Siegels initially of the interaction because he believes it is not in their best interest. On Nov. 23, 2001, MT entered into a joint venture agreement between his own outside corporation Pacific Pictures Corp. (NOT a law firm), and Mark Warren Peavy, and his mother Jean Peavy, heirs to the Joe Schuster estate. For the purposes of this document, we do not know the content of that agreement. MT and An Emanuel, partner and agent at Endeavor, contacts Kevin Marks at Gang, Tyrer, Ramer, 1 Brown again, (who represented Joanne and Laura Siegel), on August 8, 2002. MT approaches the Siegels, not as an attorney but as a film producer, stating that he is "allied" with Emanuel, hoping such a claim will legitimize him. On August 8th 2002, MT tells Marks that he and Emanuel have a billionaire ready to offer $15 million dollars up-front, plus what they promise to be meaningful participation from proceeds for exploitation of the Siegels' rights to SUPERMAN and some continued royalties on an ongoing basis in all media. Kevin Marks says to the Siegels, "Don't do it." Gang, Tyrer tells the Siegels that they believe MT has brokered a confidential agreement with the Joe Schuster estate. Marks also tells the Siegels that the Schuster estate will have termination rights in approximately 2013. Schuster missed termination notices. Within their offer, MT appeals to the Siegels' sense of ownership and encourages them to take this deal. MT says he can help them make a movie in direct competition to the one being made at Warner Brothers (MT makes this argument to Joanne and Laura, all the while knowing full well that no one would ever go near making such an attempt; no other studio would go for it because of the division of rights, and no one outside of the studio system would attempt such an endeavor for all the enormous costs attributable to the making, marketing and distribution of such a film.) In other words, MT displays "predatory intent" in his initial approach to the Siegels from the very beginning. In their very first conversation, Kevin Marks tells MT "no go" — that the Siegels have already reached an agreement with Time Warner and DC Comics. Marks conveys MT's offer to the Siegels, and Marks does say to the Siegels, it is a better offer than the one you have. However, Marks also tells the Siegels that he would testify in court against the Siegels if they accepted this offer because he believes there has already been an agreement reached. The Siegels are angry at Kevin Marks that he said he would testify against them if they took MT's offer, and relations break down between the Siegels and Gang, Tyrer. They fire Gang, Tyrer. And, because the Siegels believed that MT was sympathetic to their plight, and because MT appealed to their sense of ownership of SUPERMAN, they decide to enter into an agreement with Intellectual Properties Worldwide, otherwise known as "IPW", Marc Toberoff's film production company, for 10% for any kind of deal he got to make a movie or exploit the rights (as you know, the Siegels submitted termination notices on the Superman copyright in 1997). The Siegels' agreement with IPW is an agreement that mirrors the earlier Pacific Pictures agreement that MT makes with the heirs to Joe Schuster (see more information on this below). In other words, Marc Toberoff is named as their attorney within the agreement (which is masked as a retainer agreement) in the event that they go to litigation over anything (please see enclosed document). Upon the Siegels signing the agreement, MT then tells Joanne and Laura that his mysterious billionaire has decided to invest elsewhere. In other words, MT makes himself the Siegels' attorney of record while he solicited than as 'a film producer, violating the rule that no lawyer may directly solicit business, with the double violation of doing it under the auspices of doing separate business dealings. MT's sole intent was to become the Siegels' attorney, not to help the Siegels (as he had alleged) to make a movie in competition to Superman Returns, which was then in development at Warner Brothers. MT also never divulges his previous direct dealings with the Schuster heirs, and his Nov.23, 2001 joint agreement with the Peavys (the Schuster heirs) in which he is named their attorney of record. In 2002, MT set his sights on acquiring the passive interest to Michael Siegel's rights, who, as you know, is Jerry Siegel's son from his first marriage, and is Laura's half-brother. Michael Siegel has an interest of 12.5% in SUPERMAN and SUPERBOY. The Siegels total have 50% interest (Joanne holds 50%, Laura 25%h Michael 25%). So, in essence, Joanne has 25%, Laura 12.5, Michael 12.5. MT used to his advantage the strained relationship between Joanne and Laura, and Michael; as well as strained communication with the Schusters. Here comes Ari Emanuel, and he is going to finance the purchase of Michael Siegel's interest. But Michael Siegel turns him down flat. MT discloses the intent to purchase to Joanne and Laura, admitting it is a possible conflict of interest. MT is fully aware of what he is doing is wrong. On December 16, 2002, there is another letter from MT and Ari Emanuel to Joanne and Laura Siegel, saying they are re-approaching Michael again about purchasing his interest. MT tells Michael Siegel that they have an investor ready to buy out his interest, though the amount is significantly less than what DC showed as his share. March 3, 2003 — letter from Paul Levitz/DC Comics to the Siegels, and MT is messing up relationships for his own personal benefit. DC is trying to understand why they backed out of the deal. The reason is MT who is interfering in all the relationships up to this point. May 2003 — MT is continuing to make business arrangements with the Schuster heirs, unbeknownst to Joanne and Laura Siegel. May 13, 2003: Michael Siegel sends a very concerned letter to Laura Siegel about Marc Toberoff s actions. Among other things, Michael Siegel tells her of how Toberoff is now controlling the whole of the SUPERMAN copyright, how he may have bought a substantial portion of the Schuster interest for himself, and he brings to light MT's utter lack of opening a dialogue with anyone regarding making another SUPERMAN movie, in partnership with Ari Emanuel. Also that MT has not even made contact with Time Warner. Lastly, Michael conveys that MT seems to have an agenda of "someone" buying him out, and that MT is pressing for an answer. In May-June 2003. STATUE OF LIMITATIONS is coming close on for filing of the SUPERMAN complaint. Both Joanne and Laura Siegel are now very ilL MT starts saying to the Siegels that the statue of limitations is coming up, and they would have waived their right to sue based on the termination notices. This is the very seed MT meant to mine all along. He sends them the research on the statue of limitations, and concerned, the Siegels contact Art Levine in Washington, D.C. to have independent research done on the matter. The research confirms that they should file by September. In June, An Emanuel through IPW is still trying to buy Michael Siegel's interest but can't come to terms on price. End of June 2003, MT gets a law firm to represent the Schusters to assist with the SUPERMAN copyrights. They determine the value of the estate is $0, and California Probate Code will not be applicable, such that the estate attorney will not be entitled to any future settlement regarding the Superman interest. Estate attorney is only receiving an hourly rate. MT "graciously" pays all legal fees. In other words, MT helped probate the estate, but hired an attorney to do the dirty work. Fittingly, the Joe Schuster will was lost", so the will had no value. So, the court writes the veil' for him, and includes the rights to proceed with the termination. And since the firm receives an hourly rate, and the estate is valued at $0, it does not effect any future settlement. The estate attorney will thereby not be entitled to statutory compensation. Another example of showing that MT is solely motivated at all times not by his clients' interests, but manipulating pieces of the puzzle so that he may receive the greatest percentage from a very possible large Time Warner settlement, through part ownership and unconscionable fees (see below). Absolutely nothing is moving ahead with Siegel/Schuster rights and agreements because MT was never intending to do anything with rights other than litigate. July 5, 2003. Laura Siegel reveals her ignorance of Toberoff's dubious actions in her return letter back to Michael -- MT has NOT told them he is about to enter into the PPC agreement, whereby MT personally will have a 50% of the Schuster interest in Superman. He will shortly own equal to what Joanne owns (25% of entire copyright), and double what Laura owns, but MT has failed to disclose this. The Schusters — through the Pacific Pictures Corp agreement — gave MT half of what they had. MT never had the intention to make a movie in competition to the one at Warners — it is tantamount to throwing $$$ away, but it does appeal to the heirs' sense of lost ownership. MT never did want to make a movie, and exploit the rights. MT knows no one is going to invest in an outside movie project outside of Warner Brothers, though he uses An Emanuel, the agent, to legitmize his claims. Also, in the letter back to Michael Siegel, that MT helped Laura Siegel draft --- in response to Michael's accusations of Toberoff, Laura clearly states that MT does not have a production company. (This is false – Marc Toberoff's IPW has been in existence, partly funded by Ari Emanuel, since at least 2002). In the draft of the letter, MT crossed out the statement that he does not have a production company, and writes" MT has no plans to produce a SUPERMAN movie, nor is this feasible given the division of ownership of the rights." This clearly delineates that Toberoff never had the intention of making a movie, and approached the Siegels and Schusters separately — not for the exploitation of rights as he initially asserted, but to gain an unconscionable fee from a very large possible settlement with Time Warner. August 7, 2003 — Letter from Rodi-Pollock, who is the attorney in the Schuster estate – who says the Schuster Will would be written by the court August 2.5, 2003, since the Schuster Will had been "lost". Sept-Oct 2003 --- Letter with Ari Emanuel in which he would receive $2.5 million flat fee for "negotiating services"
On October 27, 2003, MT uses PPC to enter into another agreement with the Joe Schuster's heirs: Mark Warren Peavy and Jean Peavy, in which PPC is "engaged as the Executor of the recently probated estate of Joseph Schuster." The agreement purports that PPC is the Peavys exclusive advisor "for the purpose of retrieving, enforcing, and exploiting all of Joe Schuster's rights ....in all of his creations...". In this agreement, MT also names himself their attorney for any and all litigation or questions that should arise in regards to these Rights. MT also clearly delineates that PPC is NOT a law firm. And, lastly but most significantly, MT defines that any and all moneys and proceeds, in cash or in kind, received from the enforcement, settlement, or exploitation of any of the Rights, ....any monies would be split 50/50. IN ESSENCE, MARC TOBEROFF NOW HAS A 25% STAKE IN SUPERMAN PERSONALLY BECAUSE OF HIS DEAL WITH THE SCHUSTERS THAT WAS MADE IN 2003. He gets – under the guise of Pacific Pictures Corp – the rights to retrieve and enforce and exploit Joe Schuster's interest in SUPERMAN. MT's alleged "firewall" between film producing and soliciting business as an attorney comes tumbling down. In 2013 MT will own Schuster's side of it; but it does not matter, they will settle before. MT inquires into the legality of entering into the Pacific Pictures Corporation agreement with the Peavys, heirs to Schuster estate, using law firm Armstrong, Hirsch, Jackoway, Tyerman, Wertheimer. The inquiry raises strong eyebrows, and questions of legality as to MT's actions in regards to the Schusters, and strongly discourages further involvement with MT and this matter. August 2003 - Michael Siegel wants an annuity of $200,000, which equaled $3.5 million. MT tells him that "no investor is going to go for that." MT says Warners' estimation was $2 million less; such a bad risk for an investor, MT says. MT is tenaciously going after the 12.5%, and of course, the investor MT "has" is himself. He is trying to get Michael to lower the price. MT is also trying to convince Michael Siegel not to sell his interest to another outside party. MT is lying to Michael Siegel to make sure he can still draw a fee from Michael's 12.5% interest. If Michael went away, he would only draw from remaining 373%, instead of 50%. In the final letter, MT tells Michael Siegel that he cannot sell without our approval because Michael did not take part in the termination, but "we will give you (Michael Siegel) approval, if you sell it to a third party, monitored by Marc Toberoff." MT is lying to Michael Siegel about Siegel's ability to sell his interest in the SUPERMAN copyright. Significantly, MT admits to Laura Siegel that there never was a billionaire willing to invest $15 million when he first approached them. But by then the Siegels were concerned about appearing flaky for changing lawyers a few times. They decide to stick it out. October 2, 2004 --- MT files the complaint with the court against Time-Warner. There is disgruntlement in the Siegel camp, regarding the contingency fee. MT pushes hard for 33.3% contingency fee to go up to 40% if it falls within 60 days of trial (which, of course, he would make sure that it would...). In the contingency agreement they signed for SUPERMAN, IPW (Marc Toberoff's film production company) would have received a 10% negotiating fee (thus most likely bolstering Ari Emanuel's take in the settlement from Time Warner as well). Thus, Toberoff used the "film production arm" of his company to use as a shell to elicit larger contingency fees from his clients despite the fact that Toberoff maintains that there is a "firewall" between his law firm and his production company. MT "graciously" agrees to decrease IPW's take by 5%, which will be deducted from the firm's % fee, applicable to the gross proceeds of any settlement or outcome of the litigations. ****In other words, MT decreases his contingency fee by 5% -- instead of getting 50%, he will get 45%. Combined with the Schuster interest, the aggregate of any outcome in SUPERMAN litigation for Marc Toberoff personally becomes 47.3% of the entire Superman interest. ***** It becomes clear at this juncture that MT thwarted the earlier deal with Time Warner and DC Comics in 2002 for his own personal gain. And lastly, on the DUKES OF HAZZARD case, MT pocketed $8.5 million personally, more than any single plaintiff involved in the case (each plaintiff pocketed around $1.7 million). According to the settlement amount, he received an unconscionable 50% contingency fee. 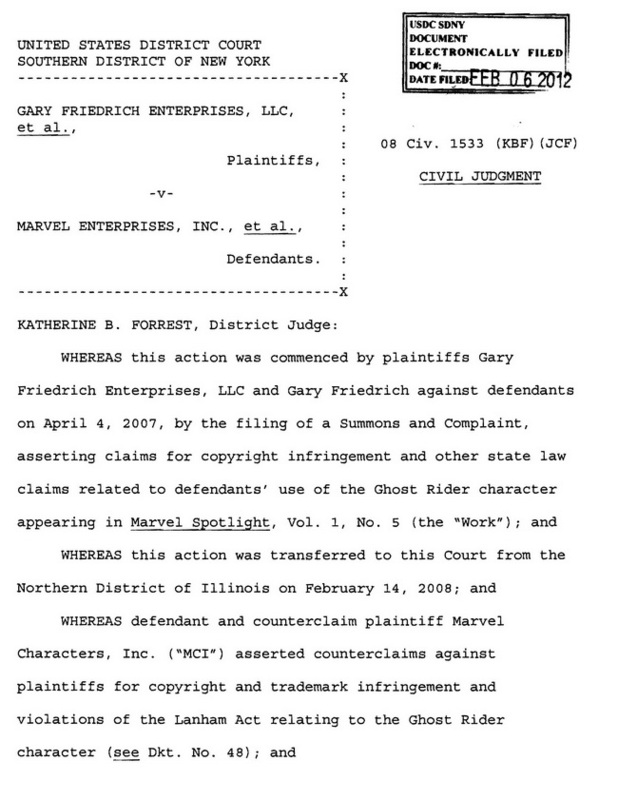 Very strong likelihood that Marc created an entity for the purposes of the lawsuit (Moonrunners Limited, or Moonrunners LLP), which allegedly held the rights at issue and ultimately led to the injunction. Christensen-Miller, Kevin Leichter, or the like need explore in greater detail the existence of the entity in which the rights were allegedly held. It is strongly believed this entity was created only to bolster the lawsuit — that the rights were never conveyed at all. MT had his President of Production of IPW, J. Todd Harris, leak the confidential settlement on the DUKES OF HAZZARD case to Variety ($17.5 million). He then called Larry Greenfield, another attorney in his office at the time who has since left, to cover his tracks, "demanding" to know who leaked the amount, and to act as if he was portraying shock and dismay at the leak. MT did it himself to attract more business in town. At least 7 attorneys have come and gone at the Law Offices of Marc Toberoff, and many have left due to ethical issues. And lastly, MT is charging 50% in another Allison Giannini case involving real estate. The reason this fact is included is to show a history of charging unconscionable fees. It should be noted for those at Time Warner that Marc Toberoff has still managed to set up SKYPORT as a producer at Warners, and he has a tangential hold on GILLIGAN'S ISLAND. If that doesn't make for interesting reading then here's the filing that, as far as I can tell, is still before the court. If even half of what DC Comics alleges is true then Toberoff has a bit of explaining to do, and I can't help but wonder if he has any stake in the Marvel vs the Kirby Estate case that is now before the courts. People can, and will, argue about how evil both DC Comics and Marvel Comics are, how shabbily they've treated their creators over the years and how they've ripped them off to make millions for their own gain. I'm not a lawyer, but that appears to be exactly what Toberoff has done here. This lawsuit challenges a scheme by Marc Toberoff and companies under his control to violate the U.S. Copyright Act and other laws by trafficking in federal copyright interests and interfering with contractual rights and other interests of plaintiff DC Comics related to the iconic property "Superman." By this scheme, Toberoff has sought to enrich himself by wrongfully laying claim to purported rights to control the exploitation of Superman to the substantial detriment of DC Comics and in violation of rights it has held, significantly invested in, and expanded upon for over 70 years. DC Comics brings this suit to confirm its rights to the Superman property and seek redress for the wrongful conduct of Toberoff and entities he controls. This Court has subject matter jurisdiction in this case pursuant to 28 U.S.C. §§ 1331, 1338, and 1367, under the Copyright Act, 17 U.S.C. §§ 101 et seq., and under the Court's supplemental jurisdiction. Under certain narrowly defined circumstances, the Copyright Act permits authors and specified heirs to terminate copyright grants and recapture those interests from the original grantees. These provisions of the Copyright Act also protect original grantees—such as DC Comics—by confining termination rights to certain classes of individuals in a specified time frame and manner, limiting the types of works that may be terminated, and creating an exclusive statutory period during which only the original grantee may enter into new agreements with the author or heirs to continue creating new works under the recaptured copyrights. In derogation of these provisions of the Copyright Act and the rights of DC Comics, Toberoff and entities he controls orchestrated a web of collusive agreements concerning the Superman copyrights with the heirs to the co-creators of Superman, Jerome Siegel and Joseph Shuster. By these agreements, Toberoff purported to secure a majority and controlling financial stake in copyright interests in Superman assertedly held by the Siegel and Shuster heirs and preclude the heirs from freely entering into new agreements with DC Comics for the continued exploitation of Superman. As detailed below, these agreements are unlawful under the copyright laws, are void as against public policy, and both violate DC Comics' rights and threaten the ongoing viability of the Superman property. During their lifetimes, Jerry Siegel and Joe Shuster—both well aware of the termination provisions in amendments to the Copyright Act—never once sought to terminate any of DC Comics' copyright interests. Instead, Siegel and Shuster rightly honored their agreements with DC Comics, under which they and their families enjoyed lifetime compensation and other benefits. After their deaths, Siegel and Shuster's heirs reached similar agreements with DC Comics—the Shuster heirs in 1992, and the Siegel heirs in 2001. These agreements provided the heirs substantial compensation and fully and finally resolved any claims of termination to any rights in Superman and confirmed that DC Comics owned all right, title, and interest in and to Superman. In or about 2001, Toberoff learned of these agreements between DC Comics and the Siegel and Shuster heirs and engineered a course of conduct to induce the heirs to repudiate those agreements, file invalid and erroneous copyright termination notices, and enter into new agreements with Toberoff and his companies netting him the controlling stake in the heirs' asserted interests in Superman. Toberoff induced the Shuster heirs to repudiate their 1992 agreement with DC Comics and enter into a 50/50 joint venture with defendant Pacific Pictures Corporation, a company wholly owned and controlled by Toberoff, pursuant to which the heirs conveyed the entirety of their purported Superman copyright termination rights to the venture. The stated purpose of the venture was to secure and exploit DC Comics' copyright interest in Superman. Toberoff procured this joint-venture agreement even though he knew that the Shusters' 1992 agreement with DC Comics operated to grant any and all of the heirs' interest in Superman to DC Comics and extinguish any termination rights the heirs might have held. Toberoff also induced the Shuster heirs to serve a notice of termination purporting to terminate and recapture alleged interests they had granted to DC Comics under the parties' 1992 agreement. This termination notice was invalid: among other defects, it was filed by a party lacking the necessary majority interest to terminate. Furthermore, any putative right to terminate held by Joe Shuster ceased to exist when he died having elected not to exercise it during his lifetime and having died without leaving a surviving spouse, child, or grandchild to inherit and exercise it. Toberoff similarly induced the Siegel heirs to repudiate their 2001 agreement with DC Comics. After years of negotiations following a termination notice sent by the Siegel heirs in 1997, DC Comics and the Siegel heirs reached an agreement providing that DC Comics would retain all rights to Superman and entitling the Siegels to receive a significant portion of the Superman profits. Toberoff became aware of the existence of the 2001 agreement between the Siegels and DC Comics and understood it diminished his stake in the putative Superman rights held by his joint venture with the Shusters. In pursuit of his plan to corner and control all potential Superman termination rights and thereby block further exploitation of the property by DC Comics, Toberoff set out to derail the 2001 Siegel agreement. Among other things, Toberoff falsely represented to the Siegels that if they repudiated their agreement with DC Comics and entered into an agreement with him instead, a "billionaire investor" was prepared immediately to pay the Siegels $15 million for their Superman rights, plus a generous back-end profit participation in any future exploitations of the Superman property. Toberoff also falsely represented that he would help the Siegels produce their own Superman motion picture that would compete successfully with a Superman motion picture that Warner Bros.—DC Comics' licensee—was then developing. Based on Toberoff' s inducements, the Siegels repudiated their 2001 agreement with DC Comics, terminated the employment of their then-law firm Gang, Tyre, Ramer & Brown, and entered into agreements with Toberoff and defendant IP Worldwide LLC, an entity controlled by Toberoff. Under these agreements, Toberoff and his company received a 45% interest in any recovery by the Siegels—an 800% increase over the 5% fee in the Siegels' agreement with the Gang Tyre firm. As a result of his arrangements with both the Shuster and Siegel heirs, Toberoff secured control of the largest financial stake in the collective, putative Superman termination rights (i.e., Toberoff—47.5%; Siegel heirs—27.5%; Shuster heirs—25%). Toberoff sought further control, however. In order to assert that DC Comics had no further rights to exploit the derivative Superman character "Superboy"—including in the highly popular Smallville network television series— Toberoff manufactured the position that Jerry Siegel alone—to the exclusion of Shuster—was the sole creator of Superboy. Toberoff did so with full knowledge that his 2001 agreement with the Shusters explicitly confirmed the Shusters' asserted joint rights in Superboy, consistent with the long-held view of Shuster, Siegel, and their heirs that Superboy was jointly created by Shuster and Siegel . Despite these incontestable facts concerning Superboy's creation— facts which Joe Shuster, Jerry Siegel, their heirs, and even Toberoff and his companies ratified and affirmed over time—Toberoff caused to be filed in 2002, on behalf of the Siegels, a copyright termination notice falsely stating that Siegel was the sole creator of Superboy. He then induced the Shusters in 2003 to amend their joint venture agreement with Pacific Pictures to delete all references to Superboy. The deletion of Superboy was directly contrary to the Shusters' interests and occurred solely to park all of the alleged Superboy rights with the Siegels. Having manipulated the Superboy rights in favor of the Siegels, and directly contrary to copyright filings that the Siegels and Shusters had previously made, Toberoff then filed a termination notice on behalf of the Shusters that purported to terminate only Superman rights, leaving out all mention of Superboy. These artifices positioned the Siegels to claim 100% ownership of Superboy in order to bring a copyright infringement claim against DC Comics, Warner Bros., and the Smallville series, which they filed in 2004—and which remains pending today. Yet another component of Toberoff' s scheme to gain complete control over the heirs to the putative Superman termination rights was preventing the Siegel and Shuster heirs from freely entering into agreements with DC Comics—even if it was in their respective economic interest to do so. In violation of DC Comics' statutory period of exclusivity under the copyright laws, Toberoff induced the Siegels and Shusters to enter into agreements transferring their respective interests to his companies and preventing them from conveying any rights to DC Comics without each other's—and Toberoff's—consent. As a result of these illicit agreements, DC Comics has been deprived of its ability to enter into agreements with the heirs to secure their purported termination rights, in violation of the Copyright Act, other laws, and public policy promoting the free and fair settlement of legal claims. To protect its rights under the copyright laws, agreements, and interests with the Siegels and Shusters and remove the cloud that Toberoff' s actions have unlawfully placed over the Superman property and its future, DC Comics brings this action to seek declaratory judgments and other relief as set forth below. Plaintiff DC COMICS ("DC Comics") is a general partnership organized and existing under the laws of the State of New York and has its principal place of business in the State of New York. DC Comics is the successorin-interest to all rights, including rights under copyright, relating to the Superman works and character. Defendant PACIFIC PICTURES CORPORATION ("Pacific Pictures") is a New York corporation organized under the laws of the State of New York, and was registered as a foreign corporation doing business in the State of California, with its principal place of business in the State of California and the County of Los Angeles. Upon information and belief, Toberoff is the sole shareholder and registered agent for service of process of Pacific Pictures. Upon information and belief, Pacific Pictures forfeited its active status as a New York corporation and as a registered foreign corporation in California as of early 2009. Defendant IP WORLDWIDE, LLC ("IP Worldwide") is a Delaware limited liability company organized and existing under the laws of the State of Delaware, and registered as a foreign entity doing business in the State of California, which has its principal place of business in the State of California and the County of Los Angeles. Upon information and belief, Toberoff is the managing and controlling member of IP Worldwide and owns the controlling interest therein. Defendant IPW, LLC ("IPW") is a California limited liability company organized and existing under the laws of the State of California, which has its principal place of business in the State of California and the County of Los Angeles. Upon information and belief, Toberoff is the managing and controlling member of IPW, is its registered agent for service of process, and owns the controlling interest in IPW. Upon information and belief, IPW is a successor-ininterest to all or part of IP Worldwide's interests. Defendant MARC TOBEROFF ("Toberoff") is an individual who resides in the County of Los Angeles in the State of California, and upon information and belief, is and at all times has been a citizen of the United States. Upon information and belief, Toberoff is a shareholder and member of defendants PACIFIC PICTURES CORPORATION; IP WORLDWIDE, LLC; and IPW, LLC. Defendant MARK WARREN PEARY ("Mark Peary" or "Peary") is an individual who resides in the State of New Mexico and is, and at all times has been, a citizen of the United States. Peary is the nephew of Joseph Shuster, and a California court appointed him as the personal representative of the Shuster Estate. Defendant ESTATE OF JOSEPH SHUSTER ("Shuster Estate") is a probate estate established by the Los Angeles Superior Court on August 25, 2003 (Case No. BP-080635). Defendant JOANNE SIEGEL ("Joanne Siegel") is an individual who resides in the County of Los Angeles in the State of California and is, and at all times has been, a citizen of the United States. Joanne Siegel is the widow of Jerome Siegel. Defendant LAURA SIEGEL LARSON ("Laura Siegel Larson") is an individual who resides in the County of Los Angeles in the State of California and is, and at all times has been, a citizen of the United States. Laura Siegel Larson is the daughter of Jerome Siegel and Joanne Siegel. Upon information and belief, Toberoff is, and at all relevant times has been, the sole shareholder and principal of Pacific Pictures and a member and principal of IP Worldwide and IPW. Upon information and belief, Toberoff is the alter ego of Pacific Pictures, IP Worldwide, and IPW, in that there is, and at all relevant times has been, such unity of interest between Toberoff, Pacific Pictures, IP Worldwide, and IPW that any individuality and separateness between them did not and does not exist, and adherence to the fiction of the independent and separate existence of Pacific Pictures, IP Worldwide, and IPW distinct from each other and Toberoff would promote injustice and inequity. Upon information and belief, the fictitiously-named DOES 1-10 are in some manner responsible for the events giving rise to the claims set forth herein. The true names and capacities of such fictitiously-named defendants, whether individual, corporate, or otherwise, are presently unknown to DC Comics. DC Comics will amend this Complaint to assert the true names and capacities of such fictitiously-named defendants when this information has been ascertained. Each reference herein to a named defendant shall also refer to DOES 1-10. As noted, the Court has subject matter jurisdiction over the claims set forth herein pursuant to 28 U.S.C. §§ 1331, 1338, and 1367. The Court has original jurisdiction over DC Comics' claims arising under the Copyright Act and supplemental jurisdiction over its related state-law claims. Defendants Marc Toberoff, the Shuster Estate, and Peary established a joint venture in California under California law for the purpose of terminating and recapturing prior grants of the copyrights at issue in this action. On behalf of the Shuster Estate, Peary filed a probate action in Los Angeles Superior Court—which, upon information and belief, remains pending—in order to effectuate the purpose of the California joint venture. A California court appointed Peary as executor of the Shuster Estate, and Peary serves in that capacity as a matter of California law. In that capacity, Peary served one of the copyright termination notices at issue in this action. Upon information and belief, defendants Pacific Pictures and IP Worldwide are foreign entities registered as doing business in the State of California, and they have their principal places of business and are headquartered in the State of California and the County of Los Angeles. Upon information and belief, defendant IPW is a California limited liability company organized and existing under the laws of the State of California and has its principal place of business and headquarters in the State of California and the County of Los Angeles. Defendants Toberoff, Joanne Siegel, and Laura Siegel Larson reside and conduct business in the State of California and the County of Los Angeles. Defendants Joanne Siegel and Laura Siegel Larson filed two related actions against DC Comics in this District and Court to resolve ownership of the rights in Superman and Superboy. (Case Nos. CV-04-8400 ODW, CV-04-8776 ODW). Venue is proper in this District pursuant to 28 U.S.C. § 1391(b). Defendants are subject to personal jurisdiction in this District, and a substantial part of the events giving rise to the claims set forth herein occurred in this District. In the 1930s, Jerome Siegel (a story writer in Cleveland) and Joseph Shuster (an illustrator, and Siegel's peer) conceived of a fictional character named "Superman," whom they originally envisioned as a criminal mastermind, and then reconceived as a hero fighting for social justice. Aside from the name, the character shared little similarity with the figure that would later become known throughout the world as Superman. Between 1933 and 1937, Siegel and Shuster submitted the Superman comic strips to a number of prospective publishers and newspaper syndicates, all of which rejected them. A company that would come to be known as DC Comics—and for whom Siegel and Shuster worked for hire developing fictional characters—would eventually decide to publish a 13-page comic story featuring "Superman" in the first issue of a 64-page comic book entitled "Action Comics." This original version of Superman had few, limited powers, and his fictional world and back-story were not well developed. Months before this "Action Comics" book ("Action Comics No. 1") was published, Siegel and Shuster entered into, on December 4, 1937, an "Agreement of Employment" with Detective Comics, Inc. ("DCI"), a predecessor-in-interest to DC Comics (the "December 4, 1937 Agreement"). Siegel and Shuster renewed their employment arrangement with DCI in agreements on September 22, 1938 (the "DCI September 22, 1938 Agreement" and "McClure September 22, 1938 Agreement") and December 19, 1939 (the "December 19, 1939 Agreement"). In 1938, at the instance and expense of DCI and subject to its right of control, Siegel and Shuster adapted the pre-existing Superman comic strips they had created and added new material to create the 13-page comic book story entitled "Superman." This story—like all of the Superman works that Siegel and Shuster thereafter created—was created for DC Comics as a work made for hire. Moreover, Siegel and Shuster only contributed to a part of this work. Upon information and belief, Shuster submitted black-and-white illustrations to DCI that were later colorized by printers or engravers working at DCI's direction. DCI also prepared one or more cover illustrations for Action Comics No. 1, which depicted Superman and was published in other comic books prior to the publication of Action Comics No. 1. Action Comics No. 1 itself was published in April 1938. To the extent Siegel and Shuster created any copyrightable Superman-related works outside their work-for-hire relationship with DC Comics, those works consisted solely of certain panels and portions of the Action Comics No. 1 comic book and other minor creations in the 1930s, which Siegel and Shuster conveyed to DC Comics in 1937 and 1938. In an agreement dated March 1, 1938 (the "March 1, 1938 Agreement"), and as required by the December 4, 1937 Agreement, Siegel and Shuster again assigned to DCI all of their rights in Superman, including "all good will attached thereto and exclusive right to the use of the characters and story, continuity and title of strip." Siegel and Shuster confirmed DCI's sole and exclusive ownership of all Superman rights in the DCI September 22, 1938 Agreement and December 19, 1939 Agreement. The initial appearance of Superman in Action Comics No. 1 presented a limited view of the character. The readers learn only that Superman was sent to Earth as an infant aboard a space ship from an unnamed planet that was destroyed by old age. He secretly possessed five super-human powers: the abilities to leap 1/8 of a mile; hurdle a twenty-story building; raise tremendous weights; run faster than an express train; and repel bullets and knives by virtue of his "tough skin." In his alter-ego life, Superman was depicted as Clark Kent, a mild-mannered newspaper reporter for "The Daily Star," with a female co-worker named "Lois," whose last name is not mentioned. In his life as Superman, he was depicted as a costumed figure who uses his super-human abilities to fight crime. In Action Comics No. 1, Superman is said to have grown up in an orphanage and is depicted (both in words and images) as a child with super-human strength. Since the publication of Action Comics No. 1 in 1938, DC Comics— with its teams of work-for-hire writers and artists (including Siegel and Shuster)— has added more than 70 years of material defining, updating, expanding, and improving upon the Superman myth and creating a continuous flow of new exploits and characters, resulting in a vast Superman "universe." DC Comics has authored, published, and distributed hundreds of millions of copies of thousands of comic book issues throughout the United States and abroad depicting the adventures of Superman. These comic books have been authored and illustrated by dozens of DC Comics' talented staff writers and artists. DC Comics has also created, developed, distributed, and licensed numerous feature-length motion pictures, motion-picture serials, radio serials, television shows, novels, and live theatrical presentations based on Superman. Indeed, the radio, television, and motion-picture projects in particular—with which Siegel and Shuster had nothing or little to do—were largely responsible for spreading the Superman myth and popularity and expanding the Superman storyline. As a result of DC Comics' significant and sustained investment in and stewardship of Superman—and 70-plus years of character and story development by some of the most creative and talented minds in the comic-book, radio, television, and motion-picture industries—Superman has remained constantly in the public's eye and has become one of the most famous and beloved fictional characters in the world. Over these 70 years, Superman has evolved from the few black-and-white illustrations originally drawn by Shuster into a full-blown, color character inhabiting a multi-dimensional universe. DC Comics' development of Superman over many decades has represented a continuous and ever-evolving portrayal of the character, featuring new elements in the Superman back-story, new super-powers, new characters, and changes in Superman's appearance. 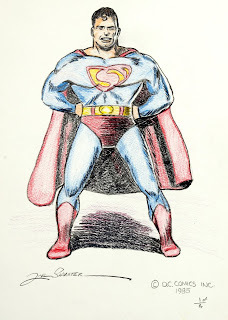 Many of the most famous story elements and characters associated with Superman were developed long after 1938 and by illustrators and story writers other than Shuster and Siegel working for hire for DC Comics. These include stories about and depictions of: (a) "Smallville," the town where Superman grew up; (b) "Kryptonite," or surviving fragments of the destroyed planet Krypton, which have the power to harm or affect Superman; (c) the "Fortress of Solitude," Superman's secret headquarters outside Metropolis (traditionally located in the Arctic, but also placed in the Andes and Amazon rainforest); (d) the "Daily Planet" newspaper, where Clark Kent would go to work; (e) Jimmy Olsen and Perry White, Kent's co-workers at the Daily Planet; (f) love interests, such as Lana Lang; (g) villains, such as Lex Luthor and Brainiac; (h) Superman's adoptive parents, the Kents; and (i) other allies, such as "Krypto" the Superdog as well as Supergirl. Other aspects of Superman's evolution included the development of new super-powers, including: (a) the ability to fly (a key component, especially of the Superman motion pictures); (b) super-vision, which enables him to see through walls ("X-ray" vision); (c) telescopic vision, which allows him to see across great distances; (d) "heat vision," which empowers him to aim rays of extreme heat with his eyes; (e) super-hearing, which enables him to hear conversations at great distances; (f) invulnerability to injury; and (g) the ability to survive in outer space without protective gear. It is this constant and uninterrupted evolution of the Superman mythology that allows Superman to remain a force in popular consciousness decades after so many contemporary characters have been forgotten or deemed old-fashioned. Siegel and Shuster served in a work-for-hire capacity for DCI from the early 1930s through the late 1940s, helping draw and write Superman comic strips and comic books. Though paid substantial sums for their work—several million dollars in today's economic terms—the relationship eventually became contentious. In 1947, Siegel and Shuster filed an action against DCI's successor, National Comics Publications, Inc. ("National"), in the New York Supreme Court in Westchester County (the "Westchester Action"). In the Westchester Action, Siegel and Shuster sought to invalidate the March 1, 1938 Agreement. They also sought to recapture all rights in Superman, arguing that the DCI September 22, 1938 Agreement was obtained by duress. Siegel and Shuster further challenged as unauthorized DCI's publication in November 1944 of a series of comic-book stories entitled "Superboy," which featured the adventures of Superman as a youth. On November 21, 1947, a referee in the Westchester Action issued an opinion after trial (the "Westchester Opinion") holding that the March 1, 1938 Agreement assigned "all" of the Superman rights to DCI, and that the DCI September 22, 1938 Agreement was valid and not obtained under duress. The referee found that DCI had acted improperly in publishing Superboy. At the referee's request, the parties to the Westchester Action submitted proposed findings of fact and conclusions of law. On April 12, 1948, the referee adopted findings of fact and conclusions of law and issued an interlocutory judgment (collectively, the "Westchester Action Interlocutory Judgment"), in which he made statements based on a script that Siegel had submitted that Siegel originated and owned the comic strip Superboy to the exclusion of DC Comics. National filed a notice of appeal, and the Westchester Action Interlocutory Judgment was stayed pending appeal. Shortly thereafter, the parties to the Westchester Action entered into two separate agreements: (a) a stipulation dated May 19, 1948 (the "May 19, 1948 Stipulation"); and (b) a consent judgment dated May 21, 1948 (the "May 21, 1948 Consent Agreement"). Under both documents, inter alia, Siegel and Shuster: agreed to vacate the Westchester Action Interlocutory Judgment; acknowledged that, pursuant to the March 1, 1938 Agreement, they transferred to DCI all rights in and to Superman, including "the title, names, characters, concept and formula" as set forth in Action Comics No. 1; and (c) agreed that National was the sole and exclusive owner of all rights in Superman and Superboy. In exchange, Siegel and Shuster were paid nearly $900,000 in today's dollars. Following the commencement of the Westchester Action, Siegel attempted to launch a new comic book and syndicated strip feature entitled "Funnyman." The Funnyman comic book, however, was cancelled after only six issues, and the syndicated Funnyman strip was only picked up by a few newspapers and dropped prior to the end of 1949. By the late 1950s, Siegel was unable to find employment in the comic book field and needing to support his family, he approached DC Comics asking for work. Despite Siegel's prior lawsuit and challenge to DC's rights in Superman, DC Comics agreed to hire Siegel and thereafter employed him continuously as a work-for-hire writer until the mid-1960s, when Siegel once again challenged DC Comics' rights to Superman. In April 1965, Siegel (while still working for DC Comics) and Shuster (who was being paid a monthly stipend by DC Comics) filed copyright renewal notices in their own names, claiming to own the renewal copyrights in the Superman character and in Action Comics No. 1. This was followed by a lawsuit filed by Siegel and Shuster against National in 1969 in the District Court for the Southern District of New York, seeking a declaration that they owned the "renewal" copyright terms for Superman and Action Comics No. 1. (Under the then-applicable 1909 Copyright Act, the period of copyright protection for a work included an initial term of 28 years and an optional renewal term of 28 years.) Again, Siegel and Shuster's arguments were rejected, and the federal district court held, inter alia, that the agreements between Siegel and Shuster, on the one hand, and DCI (later National), on the other, had assigned "all" rights in Superman to DCI and National, including all renewal copyrights. See Siegel v. Nat'l Periodical Publ'ns, Inc., 364 F. Supp. 1032 (S.D.N.Y. 1973). The Court of Appeals for the Second Circuit affirmed the district court's ruling that National owned all rights in Superman. See Siegel v. Nat'l Periodical Publ'ns, Inc., 508 F.2d 909 (2d Cir. 1974). Siegel and Shuster did not further appeal that ruling. Following the failure of their second lawsuit to recapture copyrights in Superman, Siegel and Shuster ran into financial difficulties. Siegel publicized their financial plight, and there were calls for companies like National (and even for Congress) to help such artists. On December 23, 1975, and despite Siegel and Shuster's two prior lawsuits against National, Warner Communications, Inc. ("WCI"), National's then-parent company, agreed to provide them financial assistance. Under an agreement entered into in 1975 (the "1975 Agreement"), Siegel and Shuster again acknowledged that DC Comics was the sole and exclusive owner of "all right, title and interest in and to the 'Superman' concept, idea, continuity, pictorial representation, formula, characters, cartoons and comic strips, title, logo, copyrights and trademarks, including any and all renewals and extensions of such rights, in the United States and throughout the world, in any and all forms of publication, reproduction and presentation, whether now in existence or hereafter devised." In exchange, WCI agreed to provide Siegel and Shuster with, inter alia, annual payments of $20,000 each (around $80,000 in current dollars), annual payments to their heirs after their death, medical insurance coverage, and a lump sum of $17,500 each. With respect to Shuster's heirs, WCI agreed that after Shuster's death, it would make annual payments to his brother, Frank Shuster, of $10,000 until December 31, 1985, and then $5,000 a year for the rest of his life. In the years following the 1975 Agreement, DC Comics increased the annual payments to Siegel and Shuster, made periodic cost-of-living increases, provided insurance, and paid special bonuses. During the last several years, Siegel's widow, for example, has received $135,000 per year plus reimbursement for all medical expenses. In all, DC Comics has paid Siegel, Shuster, and their heirs nearly $4 million pursuant to the 1975 Agreement and other arrangements— benefits that DC Comics continues to pay, and the Siegel and Shuster heirs continue to accept. In 1976, Congress amended the Copyright Act to give authors and certain of their heirs certain limited rights to terminate prior grants of copyright. See 17 U.S.C. § 304(c) (1976). This amendment did not apply to works-made-for hire (the company paying for the production of those works would always own them), and entitled authors and certain heirs to recapture copyrighted interest only in works that the author actually created (e.g., it did not entitle authors to recapture derivative works the grantee may have developed pursuant to the original grant, such as the original Superman radio and television shows, or Superman-related characters, such as "Superboy" or "Lex Luthor"). Despite their previous legal battles with National and the widespread publicity surrounding this legislation, neither Jerry Siegel nor Joe Shuster ever endeavored to exercise any termination rights under the statute. Instead, for the rest of their lives, Siegel and Shuster accepted and enjoyed the benefits under the 1975 Agreement. This decision made sense, given Siegel and Shuster's work-for-hire relationship with DC Comics, the narrow sliver of rights (if any) to which they might claim an interest, and the significant contributions made to Superman in the past 70 years to which they could claim no interest. Moreover, the 1975 Agreement paid Shuster and Siegel an annual pension and medical insurance for the rest of their lives and, upon their death, paid annual pensions to their heirs. Although Shuster's and Siegel's "window of time" in which to attempt to terminate prior grants of copyright interests in Superman theoretically opened in 1984, at no time during their lives did they attempt to exercise any such right. On August 21, 1992, Jean Peavy sent a letter to Time Warner and DC Comics explaining that Shuster had "left his family with a crushing burden of unpaid debts and bills and only a tiny estate." Jean stated: "It's unbelievable to me that Joe could have so little considering the generosity shown by Time Warner in raising the pension income of Siegel and Shuster." She also disclosed that 20% of Shuster's income had been taken by Joanne Siegel, Jerome Siegel's widow, "as an agent's commission for getting pay raises for Siegel and Shuster" following the December 23, 1975 Agreement. Much of the remainder of Shuster's income was spent by him during "compulsive buy[ing]" and "shopping sprees" and on expensive stereo equipment and other personal items. As a result, Shuster had accumulated "almost $20,000 in credit card debts and unpaid bills." Jean asked that Time Warner and DC Comics "pay his final debts and expenses." In September 1992, Time Warner and DC Comics offered to pay off Shuster's debts and expenses, totaling approximately $20,000, plus increase Frank Shuster's annual survivor payments under the 1975 Agreement from $5,000 to $25,000 per year. In a September 10, 1992 letter sent to DC Comics (the "September 10, 1992 Letter"), Frank Shuster, on behalf of himself and Jean, requested that the annual payments due and owing Frank be made to Jean Peavy in order to take advantage of certain tax benefits. Frank and Jean further promised that, if an agreement could be reached, Jean "would not pursue the termination of the Superman copyright as provided for to creators' heirs in the 1976 U.S. Copyright Act." Based on Jean and Frank's letter and the parties' further discussions, DC Comics, Jean, and Frank entered into a written agreement on October 2, 1992 (the "1992 Agreement"). The 1992 Agreement confirmed that it "fully settles all claims to any payments or other rights or remedies which you may have under any other agreement or otherwise, whether now or hereafter existing regarding the copyrights, trademarks, or other property right in any and all work created in whole or in part by your brother, Joseph Shuster, or any works based thereon," and that the Shuster Heirs "covenant not to assert any claim of right, by suit or otherwise, with respect to the above, now and forever." The 1992 Agreement operated to revoke, rescind, and replace Shuster's prior copyright grants and agreements. After the 1992 Agreement, DC Comics and the Shuster Heirs enjoyed an amicable relationship with the Shuster Heirs. To date, DC Comics and its affiliates have paid the Shuster Heirs close to $500,000 under the 1992 Agreement. On April 27, 1995, Jean Peavy sent a letter to DC Comics expressing gratitude for their generosity and concluding: "You know we appreciate your thoughtfulness." Even after Frank Shuster's death in 1996, DC Comics has continued to this day to pay $25,000 per year to Jean Peavy. This state of affairs remained undisturbed for almost a decade. In 2001, Toberoff and his production company, Pacific Pictures, induced the Shuster Heirs to violate their 1992 Agreement and wrongfully attempt to acquire and exploit future copyright interests in Superman. Toberoff is a self-described "intellectual property entrepreneur." His business—conducted through a variety of corporate entities like Pacific Pictures— is to locate the authors of valuable copyrighted works or their heirs and acquire, or prevent them from conveying to others asserted rights to present or future copyright interests. To convince these authors and heirs to go into business with him, Toberoff holds himself out as a producer with the financial resources and connections to exploit recaptured rights in all media in the entertainment industry. In or around 2001, Toberoff made contact with the Shuster Heirs and embarked on a course of conduct with them to disrupt their relationship with DC Comics, including DC Comics' rights under the 1992 Agreement. 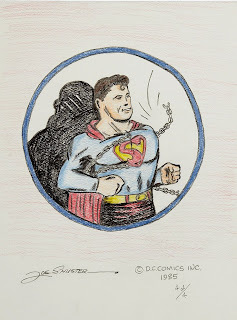 On November 28, 2001, the Shuster Heirs formed a joint venture with Toberoff' s company Pacific Pictures ("2001 Pacific Pictures Agreement") for the stated "purpose of retrieving, enforcing and exploiting all of Joe Shuster's, and his estate's rights, claims, copyrights, property, title and interests in and to Joe Shuster's creations." The 2001 Pacific Pictures Agreement provided that this purpose would be realized "via the establishment of Joe Shuster's estate" in a California probate court "and the estate's termination pursuant to [17 U.S.C. § 304] of any and all grant or transfers by Joe Shuster of any copyright interest in his creations." The 2001 Pacific Pictures Agreement also provided that the Shuster Heirs could not enter into any agreement with respect to the Superman and Superboy rights "without the express written consent" of Pacific Pictures, an entity controlled solely by Toberoff. The 2001 Pacific Pictures Agreement further provided that the joint venture would "retain Marc Toberoff, Esq. to render legal services in connection with the Rights and the Venture." Having orchestrated this joint venture, Toberoff used the Shuster Heirs to gain access to the heirs of Jerry Siegel, Joanne Siegel and Laura Siegel Larson (collectively, the "Siegel Heirs"). Toberoff sought to corner the other putative "half" of putative Superman termination rights. Toberoff knew, however, that the Siegels had reached an agreement with DC Comics in 2001 resolving their putative termination claims. Nevertheless, Toberoff and his companies set out to interfere with this agreement in order to acquire a stake in the Siegel Heirs' putative copyright interests in Superman. In 1997—and after Jerry Siegel's death in 1996—the Siegel Heirs had employed counsel and served notices to terminate grants of Superman rights that Siegel had conveyed to DC Comics (the "Siegel Superman Termination Notice"). The Siegel Superman Termination Notice, which was prepared by prior counsel, listed Superboy works and elements as among the "character[s], story element[s], or indicia reasonably associated with SUPERMAN," in recognition of the fact that Superboy was a complete derivative of Superman rather than a stand-alone, non-derivative work based upon Superman. The Siegel Heirs and DC Comics began negotiations, and in these talks the Siegel Heirs were represented by Kevin Marks of the Gang Tyre entertainment law firm. As the parties' negotiations progressed, and as expectations grew that an agreement would soon be reached, DC Comics paid the Siegels a non-refundable advance of $250,000. On October 16, 2001, DC Comics made a proposal to the Siegel Heirs. On October 19, 2001, Kevin Marks sent a letter to DC Comics confirming that the Siegel Heirs "accepted D.C. Comics' offer of October 16, 2001." On October 26, 2001, DC Comics sent a return letter confirming the parties' agreed-upon terms. DC Comics then began drafting a long-form agreement. DC Comics sent the Siegel Heirs a copy of the long-form document on February 1, 2002. As a result of the parties' agreement (the "Siegel-DC Comics Agreement"), the Siegels were now on the brink of receiving significant portions of the Superman profits—sums that would immediately and dramatically change their lives. Moreover, virtually all of the money would be theirs alone to keep, as the Gang Tyre firm had agreed to represent the Siegels for the standard 5% fee. Toberoff has admitted that he closely tracked the progress of the Siegel Heirs' termination attempt. On learning of the Siegel-DC Comics Agreement, he knew his company's joint-venture interest in the Shuster rights was limited and that he could assert greater leverage only if he could disrupt the Siegel-DC Comics Agreement and corner both "halves" of the putative Superman termination rights. Given that Joe Shuster and his heirs held whatever Superman copyright interests they owned (if any) jointly with Jerome Siegel, Toberoff understood that if DC Comics obtained the rights from the Siegels to exploit new Superman properties, it could do so freely without any ability on the part of the Shusters to claim their interests were being infringed. With knowledge that his actions would interfere with DC Comics' actual and prospective economic advantages under the Siegel-DC Comics Agreement, beginning in or around late 2001, Toberoff—identifying himself as a film producer—approached the Siegel Heirs, including and/or through their representative Kevin Marks, for the purpose of acquiring their rights. Marks informed Toberoff that the Siegel Heirs had already reached a binding agreement with DC Comics, which was in the process of being further documented in a long-form agreement. Undeterred, Toberoff continued to contact the Siegel Heirs and their representatives in an effort to induce them to repudiate the Siegel-DC Comics Agreement and enter into a production agreement with Toberoff or one of his companies. On May 9, 2002, as a result of Toberoff' s improper interference and inducements, Joanne Siegel sent a letter to DC Comics' affiliate acknowledging the Siegel Heirs had accepted DC Comics' October 16, 2001 offer, but purporting to object to certain unspecified portions of the long-form document. DC Comics objected to the Siegel Heirs' sudden and unfounded objections, but continued working with their counsel to finalize the long-form agreement. In or around August 2002, as Marks was finalizing the Siegels' revisions to the long-form document, Toberoff contacted Marks again regarding the Siegel-DC Comics Agreement. Upon information and belief, Marks informed Toberoff he could not discuss the matter, including the terms of the agreement, because of a confidentiality agreement between DC Comics and the Siegel Heirs. Toberoff reiterated interest in purchasing the Siegel Heirs' Superman rights. On August 8, 2002, Toberoff conveyed an offer to Marks for presentation to the Siegels, which Marks said he would convey. Upon information and belief, Toberoff' s offer stated that he had found a billionaire investor willing to purchase the Siegel Heirs' Superman rights. Toberoff claimed the investor would give the Siegel Heirs $15 million cash up front, plus generous royalty and "back-end" rights on any properties developed, including a new Superman motion picture. Upon information and belief, Toberoff also falsely offered to help the Siegel Heirs produce a movie that would compete directly with the Superman movie in development at the time at Warner Bros., DC Comics' licensee, even though he knew that the Siegels' limited rights in the recaptured copyright, if any, would make such a competing motion picture all but impossible to produce and distribute. Upon information and belief, although Marks conveyed Toberoff's offer to the Siegels, he advised them that they had already reached a binding agreement with DC Comics. Nonetheless, as a result of Toberoff' s inducements, the Siegel Heirs stated that they would repudiate their agreement with DC Comics and accept Toberoff' s offer. On or around September 21, 2002, the Siegel Heirs sent a letter to Marks terminating him as their attorney. On or around September 21, 2002, based on Toberoff' s inducements, the Siegel Heirs sent a letter to DC Comics repudiating the Siegel-DC Comics Agreement. On October 23, 2002, the Siegel Heirs formalized an agreement with defendant IP Worldwide for the purpose of "arrang[ing] and negotiat[ing] the sale, lease, license and all other dispositions or exploitations" of the Siegel Heirs' Superman rights (the "IP Worldwide Agreement"). The Siegel Heirs agreed to pay IP Worldwide a fee of 10% of the gross proceeds generated by those rights. Upon information and belief, the fee was subsequently reduced to 5%. Upon information and belief, in or around September 2004, the Siegel Heirs entered into an agreement with Toberoff granting him 40% of their Superman rights and retaining him as their attorney (the "Siegel-Toberoff Agreement"). Upon information and belief, as a result of the Siegel-Toberoff Agreement and IP Worldwide Agreement, Toberoff now owns a 45% financial interest in the Siegel Heirs' purported Superman rights. After inducing the Siegel Heirs to repudiate the Siegel-DC Comics Agreement, on November 8, 2002, Toberoff caused the Siegel Heirs to serve a second copyright termination notice on DC Comics directed at the character Superboy (the "Siegel Superboy Termination Notice"). The notice not only erroneously stated that Superboy was a copyrightable work not derivative of Superman, but falsely recited that Superboy was created solely by Siegel (without contribution from Shuster), thereby entitling the Siegel Heirs to terminate and recapture 100% of the putative Superboy rights. Defendants knew these claims were false. To begin, in the Siegel Superman Termination Notice served by the Siegel Heirs in 1997—the one served prior to Toberoff' s intervention—the Siegel Heirs expressly identified the Superboy works and elements as among the "character[s], story element[s], or indicia reasonably associated with SUPERMAN." This earlier notice acknowledged—as is in fact the case—that Superboy was a derivative work of Superman, rather than a separately copyrightable work. One year earlier, through defendant Pacific Pictures, Toberoff had entered into the 2001 joint venture agreement with the Shuster Heirs, specifying that the Shuster Heirs owned an interest in "Superboy." In 1972 and 1973, Siegel and Shuster together filed their own copyright renewal notices with the copyright office for Superboy, in which they identified Superboy as a work that they had jointly created. To manufacture this claim of sole ownership by the Siegels, Toberoff (acting through Pacific Pictures) caused the Shuster Heirs to remove from the 2001 joint venture between Pacific Pictures and the Shuster Heirs all claims by the Shusters to alleged rights in any and all Superboy elements. Toberoff accomplished this by creating a new joint venture agreement—signed October 30, 2003—that deleted any reference to Superboy. Defendant Mark Peary signed this agreement (the "2003 Pacific Pictures Agreement"), which omitted all references to Superboy in its description of the Shuster Heirs' rights. Toberoff induced the Shuster Heirs to disclaim any interest in Superboy so that Toberoff could position the Siegel Heirs to recapture 100% of these rights and assert a copyright infringement action against DC Comics—and seek an injunction against the television program Smallville on that basis. On November 10, 2003, one week after the 2003 Pacific Pictures Agreement was signed, defendant Mark Peary served on DC Comics a "Notice of Termination of Transfer Covering Extended Copyright Renewal Term of 'Superman'" (the "Shuster Termination Notice"). The form submitting the Shuster Termination Notice for recordation in the U.S. Copyright Office was certified under penalty of perjury by Toberoff on behalf of "IP Worldwide/Estate of Joseph Shuster." IP Worldwide is the Toberoff entity which, upon information and belief, holds a portion of the Siegel Heirs' Superman and Superboy rights pursuant to the IP Worldwide Agreement. (g) the December 23, 1975 Agreement. The Shuster Termination Notice does not purport to terminate the copyright grants in the May 21, 1948 Consent Agreement or, even more importantly, the 1992 Agreement between the Shuster Heirs and DC Comics. The Shuster Termination Notice does not purport to terminate any copyright grant in pre-Action Comics No. 1 promotional materials or any materials relating to Superboy. The Shuster Termination Notice states that defendant Mark Peary "is the person entitled to exercise Joseph Shuster's termination interest" and that the Notice was "signed by all persons whose signature is necessary to terminate." The Notice makes no mention of the joint venture that the Shuster Heirs and Pacific Pictures formed or its putative ownership stake in the to-be terminated Superman rights. Nor does the Notice mention Pacific Pictures or its putative ownership stake in the joint venture, despite the grant of 5 0/5 0 rights in the joint venture to Pacific Pictures pursuant to Pacific Pictures' 2001 and 2003 agreements with the Shusters. On September 10, 2004, Pacific Pictures and the Shuster Heirs signed a one-page letter (the "September 10, 2004 Letter") purporting to cancel their joint venture and providing that the 2001 Pacific Pictures Agreement and 2003 Pacific Pictures Agreement "have been cancelled." However, because the Shuster Heirs and Pacific Pictures had agreed that all rights held by their joint venture would be divided 50/50 upon termination of the joint venture "for any reason," the apparent effect of the September 10, 2004 Letter was to transfer 50% of the Shuster Heirs' purported share of Shuster's rights to Toberoff or his companies. DC Comics is informed and believes that Toberoff (or his companies) now own 50% of the Shuster Heirs' putative rights as well as the 45% share of the Siegel Heirs' putative rights. This gives Toberoff the largest financial stake among defendants' collective asserted rights in Superman and in the pending legal disputes concerning those rights (i.e., Toberoff—47.5%; Siegel Heirs—27.5%; Shuster Heirs—25%). DC Comics is also informed and believes that Toberoff, Pacific Pictures, IP Worldwide, the Siegels, and the Shusters have entered into one or more agreements preventing the Siegels or Shusters from conveying rights to DC Comics or entering into other agreements with DC Comics, including for the settlement of their putative termination claims or litigation, without the consent of other parties. For example, in the 2003 Pacific Pictures Agreement, the Shuster Heirs agreed not to settle any claims with respect to the Superman rights without Pacific Pictures' or Toberoff' s consent. Such consent agreements are void as against public policy, violate DC Comics' rights, and impede the administration of justice. Pursuant to federal court orders dated September 26, 2008 and December 4, 2008, Toberoff was compelled to produce to DC Comics a document titled "Superman – Marc Toberoff Timeline" ("Toberoff Timeline," attached hereto as Exhibit A), which Toberoff has acknowledged was written by an attorney he previously employed. To prevent DC Comics from obtaining and using the document, Toberoff asserted to the federal court that it was privileged, but his position was rejected. Toberoff produced the Toberoff Timeline to DC Comics on December 10, 2008. The Toberoff Timeline discloses many of the facts alleged herein, and concludes: "[Toberoff] is solely motivated at all times not by his clients' interests, but manipulating pieces of the puzzle so that he may receive the greatest percentage from a very possible large Time Warner settlement, through part ownership and unconscionable fees." (Emphasis in original.) The Toberoff Timeline explains that "[a]t least 7 attorneys have come and gone at the Law Offices of Marc Toberoff, and many have left due to ethical issues." Many of these and other disturbing, salient facts detailed herein have only recently come to light in the past 18 months. A. First Claim for Relief: Declaratory Relief re: Invalidity of Copyright Termination Notice (Against Defendants Shuster Estate and Peary) DC Comics re-alleges and incorporates by reference each and every allegation contained in the paragraphs above. The Copyright Act does not provide any basis for the Shuster Estate to terminate. Shuster's termination right was lost when he died in 1992 without having exercised it and without leaving a statutory heir to inherit it under the then-applicable provisions of the Copyright Act. The 1976 Copyright Act gave authors the ability to terminate certain pre-1978 copyright grants. According to the original termination provisions: "Where an author is dead, his or her termination interest is owned, and may be exercised, by his widow or her widower and his or her children or grandchildren." 17 U.S.C. § 304(c)(2) (1976). In other words, the right of termination could only be exercised by an author during his or her lifetime, or by a widow, child, or grandchild after the author's death. As the language of the statute establishes, and its legislative history confirms, the right of termination was lost if an author died without exercising it and without leaving a widow, child, or grandchild to inherit it. Shuster could have exercised his putative termination right beginning in April 1984. The 1976 Copyright Act provided that a copyright grant could be terminated 56 years after the date copyright was first secured (i.e., April 1994, or 56 years after the April 1938 publication of Action Comics No. 1), and that notice of termination could be served 10 years before the termination date (i.e., April 1984, or 10 years before April 1994). 17 U.S.C. § 304(c)(3)-(4). During his lifetime, Shuster chose not to exercise his termination right. Shuster died in 1992, and did not leave a widow, child, or grandchild to succeed to his termination right under section 304(c) of the 1976 Copyright Act. As a result, Shuster's termination right ceased to exist on his death. The 1999 Copyright Term Extension Act ("CTEA") extended the term of copyright by 20 years and also provided an opportunity to authors and selected heirs to terminate for this new extended time period in circumstances where the "[t]ermination rights provided for in subsection (c) have expired on or before the effective date of the [CTEA]," or October 27, 1998, and the "author or owner of the termination right has not previously exercised such termination right." 17 U.S.C. § 304(d). Where section 304(d) applies, section 304(c)(2) provides that if an author is dead, the termination right can be exercised by his widow, children, or grandchildren or, "[i]n the event that the author's widow or widower, children or grandchildren are not living, the author's executor, administrator, personal representative, or trustee...." (Emphasis added). These are the provisions that defendant Mark Peary, the executor of the Shuster Estate, purports to rely on in the Shuster Termination Notice, but they have no application here. By its own terms, section 304(d) only applies where an author's window for exercising the termination right opened and closed or "expired" (not when an author died while the window was open without exercising the right or leaving any heirs to do so), and where a deceased author's widow, child, or grandchild is "not living," but who did at some time live. Shuster never had a widow, child, or grandchild, and Peary, acting on behalf of the Shuster Estate, has no right to file the invalid notice of termination that he did. The 1992 Agreement that Frank Shuster and Jean Peavy entered into with DC Comics bars the Shuster Estate from pursuing termination because, inter alia, in exchange for valuable consideration, the 1992 Agreement effected a rescission, revocation, and re-grant of all prior copyright grants, which eliminated any pre-1978 grant that could be subject to termination under section 304 of the Copyright Act. Section 304(d) of the Copyright Act only allows for termination of copyright grants "executed before January 1, 1978." Because the 1992 Agreement left intact no pre-1978 copyright grant to terminate, section 304(d) does not apply, and the Shuster Estate has no copyright grant that it may terminate. Shuster's heirs approached DC Comics in 1992 seeking increased annual payments, certain tax benefits, and payment of Shuster's debts and expenses. At the time, Shuster's heirs recognized the value of Superman as a property. As the result of DC Comics' development, promotion, and exploitation of Superman from 1938 to 1992, Superman had evolved from the black-and-white figure drawn by Shuster for Action Comics No. 1 to a global, multi-media industry. Moreover, in correspondence with DC Comics, the Shusters adverted to the termination rights provided for under the Copyright Act. As Shuster's heirs requested, the 1992 Agreement provided that DC Comics would: (a) increase its annual payments to the Shuster Heirs to $25,000 per year—five times higher than the amount it was obligated to pay under the December 23, 1975 Agreement; make these annual payments to Jean Peavy for purposes of a tax benefit; and pay the approximately $20,000 representing Shuster's final debts and expenses. DC Comics continues to make annual payments under the 1992 Agreement, and has paid Shuster's heirs close to $500,000 to date. The 1992 Agreement confirms that it "fully settles all claims to any payments or other rights or remedies which you may have under any other agreement or otherwise, whether now or hereafter existing regarding the copyrights, trademarks, or other property right in any and all work created in whole or in part by your brother, Joseph Shuster, or any works based thereon." (Emphasis added.) Shuster's heirs agreed "not to assert any claim of right, by suit or otherwise, with respect to the above, now and forever." By effectively rescinding, revoking, and re-granting any and all prior grants of Joe Shuster's rights, the Shuster Heirs have no right to terminate any of the Superman copyrights. At the very least, because of DC Comics' continued performance under the 1992 Agreement, and the Shusters' continued acceptance of benefits under the Agreement—even after filing the Shuster Termination Notice—the Shusters are estopped from disputing that the 1992 Agreement remains in full force and effect, which operates to preclude the assertion of any termination right. The Shuster Termination Notice is also invalid because the party that filed it—if defendants' own contractual documents are to be believed—lacked authority to do so. Section 304(c)(1) of the Copyright Act provides that termination of a grant executed by an author who is not living may be exercised only "by the person or persons who ... own and are entitled to exercise a total of more than one-half of that author's termination interest." 17 U.S.C. § 304(c)(1) (emphasis added). Copyright Office regulations require that a termination notice include "specific indication of the person or persons executing the notice who constitute more than one-half of that author's termination interest" and "shall be signed by the number and proportion of the owners of that author's termination interest required under section 304(c)." 37 C.F.R. § 201.10(b)(1)(vii), (c)(2). According to the Pacific Pictures agreements (to the extent they are valid and enforceable), the Shuster Estate does not own—and did not own at the time the Shuster Termination Notice was executed—the "more than one-half" majority interest necessary to terminate under section 304(c)(1) of the Copyright Act. Pursuant to the 2001 Pacific Pictures Agreement, defendant Mark Peary and Jean Peavy "transfer[red] and assign[ed] ... their rights, title, and interest" in all of Shuster's copyrights and creations to their joint venture with Pacific Pictures. In the 2003 Pacific Pictures Agreement, Peary confirmed the terms of the 2001 Pacific Pictures Agreement on behalf of the Shuster Estate. One week later, on November 10, 2003, Peary served the Shuster Termination Notice on behalf of the Shuster Estate. At the time, the Shuster Estate did not own any of the purported termination right, as this and all other rights had been transferred to the joint venture with Pacific Pictures. The Shuster Termination Notice is therefore invalid under section 304(c)(1) of the Copyright Act. The Shuster Termination Notice represents that Peary "is the person entitled to exercise Joseph Shuster's termination interest" and that the Notice had been "signed by all persons whose signature is necessary to terminate." Peary's failure to disclose that he had purported to transfer this putative termination right to the joint venture with Pacific Pictures, or include a signature on behalf of the joint venture or Pacific Pictures, violated 37 C.F.R. § 201.10(b)(1)(vii) and 37 C.F.R. § 201.10(c)(2). Peary's failure to disclose the requisite information in the Shuster Termination Notice was not harmless. Upon information and belief, these omissions were not inadvertent, but were intended to conceal material information from DC Comics, including: (a) the various conflicts of interest arising from Toberoff' s and his companies' significant ownership interest in the Shuster Estate's and the Siegel Heirs' purported rights; and (b) consent agreements that Toberoff procured limiting the Shuster and Siegel Heirs' freedom to enter into agreements with DC Comics regarding those rights. The Copyright Act's termination provisions were crafted to avoid the trafficking in future interests by third parties like Toberoff and his companies, yet that is exactly what his agreements with the Shuster and Siegel Heirs accomplish, and what Toberoff and Shusters failed to disclose to DC Comics and the Copyright Office by serving and filing the Shuster Termination Notice. The 1992 Agreement includes a "grant" by Shuster's heirs to DC Comics of, inter alia, all "copyrights, trademarks, or other property right in any and all work created in whole or in part by ... Joseph Shuster, or any works based thereon." In the Shuster Termination Notice, defendants did not terminate (or even mention) the 1992 Agreement. Defendants do not attempt to terminate the May 21, 1948 Consent Agreement, and do not identify the May 21, 1948 Consent Agreement in the Shuster Termination Notice. As the result of defendants' failure to terminate the 1992 Agreement and May 21, 1948 Consent Agreement, the grants contained therein remain in full force and effect. Thus, DC Comics is and continues to be the sole owner of all rights, including rights under copyright, in Superman pursuant to the 1992 Agreement and May 21, 1948 Consent Agreement. The doctrine of unclean hands requires that the Shuster Termination Notice be deemed invalid because it contains material misrepresentations intended to mislead the courts, Copyright Office, and DC Comics—all to the detriment of DC Comics. The Shuster Heirs did not disclose Pacific Pictures' purported ownership interest in the rights sought to be terminated. Just one week before filing the Shuster Termination Notice, the Shuster Estate signed the 2003 Pacific Pictures Agreement, reaffirming its transfer of 100% of its rights in any Superman-related copyrights to the joint venture with Pacific Pictures. Copyright Office regulations require that a termination notice include "specific indication of the person or persons executing the notice who constitute more than one-half of that author's termination interest" and "shall be signed by the number and proportion of the owners of that author's termination interest required under section 304(c)." 37 C.F.R. § 20 1. 1 0(b)(1)(vii), (c)(2). Yet Pacific Pictures is conspicuously absent from the Shuster Termination Notice. This omission was not inadvertent, as explained above. Induced by Toberoff, the Shuster Heirs also falsely disclaimed any interest in the Superboy rights in the Shuster Termination Notice. This permitted Toberoff to assert on behalf of the Siegel heirs a baseless Superboy-related copyright infringement claim against DC Comics. 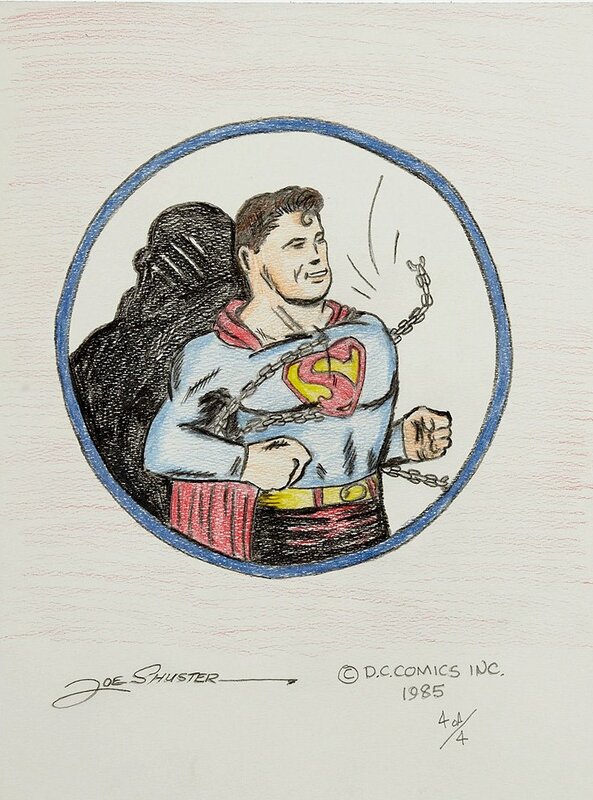 Prior to these manipulations by Toberoff, Shuster and the Shuster heirs had truthfully maintained for over 50 years that Shuster had co-created Superboy. 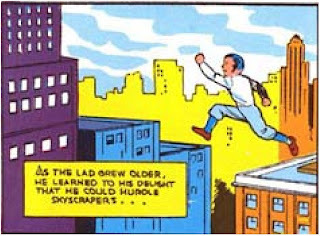 For example, the findings submitted by Siegel and Shuster's counsel in the 1940s Westchester Action, specified that Shuster had drawn the first "Superboy" denominated story in More Fun Comics No. 101. Similarly, in 1972 and 1973, during the Superman renewal litigation, Siegel and Shuster jointly filed copyright renewal notices asserting joint authorship both in the Superboy character, and in More Fun Comics No. 101, which contained the first comic book story denominated "Superboy." 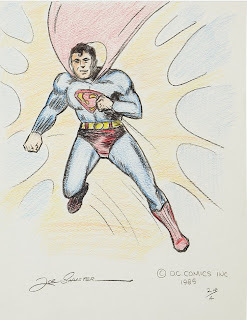 Additionally, in the 2001 Pacific Pictures Agreement, entered into before Toberoff had secured an agreement with the Siegel Heirs, Toberoff and the Shuster Heirs expressly identified "Superboy" as among the universe of rights that Shuster had jointly created with Siegel. Yet just two years later in 2003, and only after Toberoff had entered into an agreement with the Siegel Heirs securing control over their rights, did the Shuster Heirs suddenly reverse course. The 2003 Pacific Pictures Agreement omitted all reference to Superboy, and the Shuster Termination Notice filed one week later avoided any overt mention of Superboy elements or works. But even the termination notice served by the Shuster Heirs, while carefully drafted to avoid any mention of Superboy, could not completely rewrite history. The Shuster Termination Notice expressly identifies Action Comics No. 1 and Superman No. 1 as terminated works. Both of these works, however, clearly depict Superman as a boy with super-powers: i.e., a "Superboy." For example, Action Comics No. 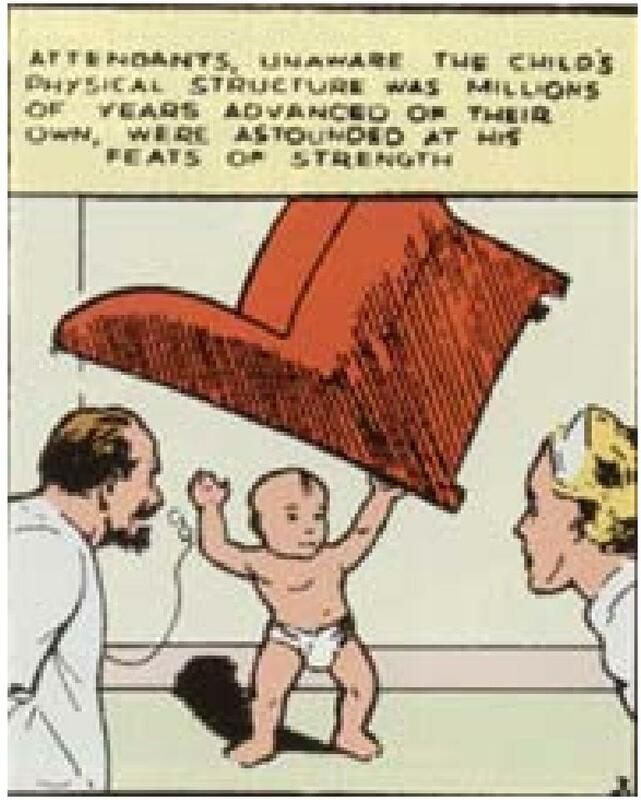 1 features Superman as a very young boy exhibiting super strength, and Superman No. 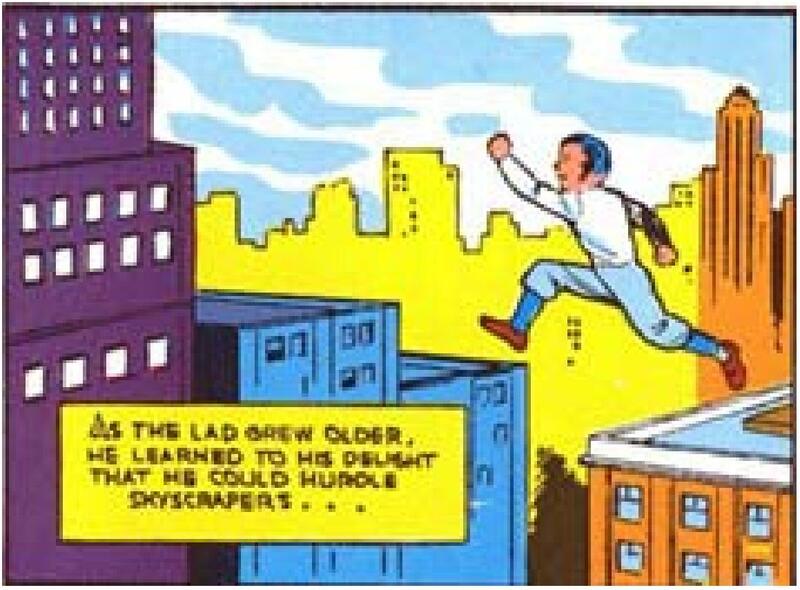 1 depicts Superman as a youth leaping over a building. After the Shuster Termination Notice was filed, the Siegel Heirs brought a copyright infringement claim against DC Comics on the frivolous ground that Superboy was the sole creation of Siegel, entitling the Siegel Heirs to terminate and recapture 100% of the Superboy rights (as opposed to the 50% share they would be entitled to recapture if Superboy was a joint work). The Siegel Heirs threatened to enjoin the popular Smallville television series, which they wrongly claimed infringed their exclusive rights in Superboy. As a result, DC Comics has incurred substantial expenses defending against the claim Toberoff manufactured and the Shusters facilitated. Defendants compromised the integrity of the Copyright Office and judicial system by crafting the Shuster Termination Notice in this way, and the Shuster Termination Notice should be held invalid on this and the other related grounds set forth herein. Each of the foregoing reasons is a separate, independent, and alternative basis for declaring the Shuster Termination Notice to be invalid and thus ineffective. A declaration by this Court regarding the validity of the Shuster Termination Notice is warranted under the Declaratory Judgment Act, 28 U.S.C. §§ 2201 et seq., to establish the parties' respective rights and obligations with respect to the copyright interest in the Superman material. DC Comics re-alleges and incorporates by reference each and every allegation contained in the paragraphs above. This Second Claim for Relief is advanced in the alternative—i.e., if the Court does not grant DC Comics' First Claim for Relief set forth above and hold that the Shuster Termination Notice is invalid. Upon information and belief, in or around 1933, Siegel and Shuster began co-creating comic strips, some of which included stories featuring a character named Superman. The materials created by Siegel and Shuster during this time are believed to include: (a) 24 days of Superman comic strips intended for newspapers; (b) a seven-page synopsis of the last 18 days (weeks two through four) of such comic strips; (c) a paragraph previewing future Superman exploits; (d) a nine-page synopsis of an additional two months of daily comic strips; and (e) 15 daily comic strips (collectively, the "Unpublished Superman Works"). None of these materials was published in its original form, most were never published at all, and some are apparently lost. Upon information and belief, between 1933 and 1937, Siegel and Shuster submitted the Unpublished Superman Works to a number of prospective publishers and newspaper syndicates, all of which rejected them. On December 4, 1937, Siegel and Shuster entered into the December 4, 1937 Agreement with DCI. Siegel and Shuster agreed to "give their exclusive services" in producing certain comic features for a period of two years. Siegel and Shuster were required to submit any new continuity to DCI, which reserved the right to accept or reject them for a period of sixty days. In early 1938, DC was seeking material for use in a new comic book it was developing entitled "Action Comics." Pursuant to the December 4, 1937 Agreement, the 24 days of Superman comic strips from the Unpublished Superman Works were provided to DCI for review. DCI decided to publish a Superman story in Action Comics No. 1, but the materials submitted by Siegel and Shuster to DCI were neither in a form that was acceptable for publication in a comic book, nor were they complete. Therefore, at the instance and expense of DCI and subject to its right of control, Siegel and Shuster adapted the 24 days of comic strips, and added certain new material, to create a 13-page uncolored comic book story entitled "Superman." Cover art featuring Superman that was used for Action Comics No. 1 was thereafter created by DCI. DCI's printers or engravers, working at the direction of DCI, chose colors for the Superman character and colored the 13-page story and cover. Siegel and Shuster assigned to DCI all of their rights in Superman in the March 1, 1938 Agreement. This included "all good will attached thereto and exclusive right to the use of the characters and story, continuity and title of strip." Siegel and Shuster agreed not to use Superman or any other character featured in the strip "by their names contained therein." Before the April 1938 publication of Action Comics No. 1, which was cover-dated June 1938, DCI promoted the upcoming Superman story in some of its other publications, including "More Fun Comics No. 31" and "Detective Comics No. 15." These publications were cover-dated May 1938 and were published prior to Action Comics No. 1. The promotions (the "Promotions") depict Superman in his costume—including a cape, boots, leotard, and inverted triangular "S" crest on his chest—exhibiting his super-strength by holding a car over his head as bystanders watch in awe. The Promotions show almost the entirety of what would become the cover of Action Comics No. 1 in clarity and detail. Action Comics No. 1 was comprised not only of the 24 days of Superman comic strips from the pre-existing Unpublished Superman Works (as modified and edited by Siegel and Shuster), but of additional new material created by Siegel and Shuster at DCI's instance and expense and subject to its right of control. Upon information and belief, after the publication of Action Comics No. 1, Siegel and Shuster supplied further original Superman stories to DCI, at DCI's instance and expense and subject to its right of control. On September 22, 1938, Siegel and Shuster entered into another employment agreement with DCI confirming that Siegel and Shuster had "been doing the art work and continuity for said comics [including Superman comics] for us. We wish you to continue to do said work and hereby employ and retain you for said purposes." The DCI September 22, 1938 Agreement also contained an acknowledgement that DCI was the "exclusive" owner of Superman. Also on September 22, 1938, Siegel and Shuster entered into the McClure September 22, 1938 Agreement with DCI and the McClure Newspaper Syndicate concerning the use of Superman in newspaper strips. All of Siegel and Shuster's contributions to Superman comic books and comic strips were made pursuant to the March 1, 1938 Agreement, the DCI September 22, 1938 Agreement, the McClure September 22, 1938 Agreement, contemporaneous oral agreements confirmed by one or more of those agreements, or certain subsequent agreements affirming those agreements, as employees of DCI (or its successors) and at DCI's instance and expense and subject to its right of control. As a result, all of these materials constitute works for hire under the 1909 Copyright Act, and the copyrights therein are owned exclusively by DC Comics and are not subject to termination under later amendments to the Copyright Act. On November 30, 1938, Siegel wrote a letter to DCI (the "November 1938 Letter") suggesting that it publish a comic book entitled "Superboy," "which would relate to the adventures of Superman as a youth." The November 30, 1938 Letter does not contain any discussion of plot, dialogue, appearance, or any other copyrightable material relating to Superboy. DCI decided not to publish a Superboy comic book at that time, and had already published comic books, discussed supra, that showed Superman as a young boy and exhibiting superhuman strength. For example, in 1939, among the Superman material prepared by Siegel and Shuster at the instance and expense of DCI and subject to its right of control was Superman No. 1. In Superman No. 1, Clark Kent is depicted as a boy with super-powers. On December 19, 1939, Siegel and Shuster entered into the December 19, 1939 Agreement with DCI, which modified the DCI September 22, 1938 Agreement by, inter alia, doubling Siegel and Shuster's compensation for Superman comic books and newspaper strips and providing for payment to Siegel and Shuster for uses of Superman in media such as radio, motion pictures, and toys. Under the December 19, 1939 Agreement, Siegel and Shuster again acknowledged DCI's sole ownership of Superman. Upon information and belief, in December 1940, Siegel, on behalf of himself and Shuster, submitted to DCI a 13-page script of continuity for Superboy (the "Unpublished 1940 Superboy Script") and renewed his suggestion that DCI publish a comic book depicting Superman as a youth. The Unpublished 1940 Superboy Script, which includes the credit line "By Jerry Siegel and Joe Shuster," states: "So many faithful followers of today's leading adventure comic strip, SUPERMAN, wrote in demanding the adventures of Clark Kent as a youth ... And so here he is at last ... the answer to your requests ... America's outstanding boy hero: SUPERBOY!" The Unpublished 1940 Superboy Script explains that "[i]n later years [Superboy] was to become the might[y] figure known as SUPERMAN!" The Unpublished 1940 Superboy Script was derived entirely from pre-existing Superman elements and ideas that had been published by DCI as part of works for hire, and contained no original copyrightable element. Again, DCI decided not to publish a Superboy comic book at that time. Upon information and belief, sometime prior to November 18, 1944, DCI published a comic book depicting the adventures of Superman as a youth, called Superboy, in "More Fun Comics No. 101," which had a cover date of January-February 1945 and was illustrated at least in part by Shuster. Upon information and belief, Siegel did not participate in the creation of this comic book or the Superboy story it contained. Other than retelling the Superman origin story from Action Comics No. 1 and Superman No. 1, this Superboy story bore no resemblance to the Unpublished 1940 Superboy Script. In the more than 70 years since the publication of Action Comics No. 1 in 1938, DC Comics has created a vast universe of Superman material spanning virtually all media, including comic books, graphic novels, live action pictures, feature-length motion pictures, motion picture serials, radio and television serials, and live theatrical presentations. DC Comics' extensive development and exploitation of Superman has generated new characters, new super-powers, new components to the Superman universe, new elements in the Superman back story, and new changes in Superman's appearance. (a) "twenty-four days ... of previously unpublished SUPERMAN newspaper comic strips, created c. 1934,"
(c) "15 SUPERMAN daily comic strips ... created c. 1934." To the extent that any portion of the Unpublished Superman Works may be considered published for purposes of the Copyright Act (and this is disputed), those portions were published only as a result of their adaptation for inclusion in Action Comics No. 1, which was a work made for hire. The Copyright Act expressly provides that "a work made for hire" cannot be subject to termination. 17 U.S.C. § 304(c)-(d). As a result, the Shuster Termination Notice is ineffective as to the Unpublished Superman Works. The Shuster Termination Notice does not attempt to terminate DC Comics' rights in the Promotions published before Action Comics No. 1. Moreover, upon information and belief, the Promotions, depicting in sum and substance what was subsequently published as the cover of Action Comics No. 1, were not prepared by Siegel or Shuster, but rather by others either employed by DCI or at the instance and expense of DCI and subject to its right of control. As a result, the Promotions were works made for hire and any copyright therein was owned by DCI ab initio and cannot be subject to termination. 17 U.S.C. § 304(c)- (d). DC Comics remains the sole owner of the Promotions, all copyrights therein, and the various copyrightable elements contained therein. The Shusters may not seek to terminate copyright interests comprised in the Promotions. The Shuster Termination Notice purports to recapture the rights in Action Comics Nos. 1-7, Superman No. 1, and Superman No. 3 ("Superman Works"). Each of the Superman Works was prepared at the instance and expense of DCI and subject to its right of control. As a result, the Superman Works were works made for hire and any copyright therein was owned by DCI ab initio and cannot be subject to termination. 17 U.S.C. § 304(c)-(d). DC Comics remains the sole owner of the Superman Works, all copyrights therein, and the various copyrightable elements contained therein. All Superman-related works prepared after the publication of Action Comics No. 1 were derivative works based on pre-existing copyrightable material and created under the authority of valid copyright grants (the "Derivative Works"). The Derivative Works include new characters, new super-powers, new components to the Superman universe, new elements in the Superman back-story, and changes in the appearance of Superman. Regardless of whether the Shuster Termination Notice is deemed valid, DC Comics remains the sole owner of the Derivative Works and retains the continuing right to exploit the Derivative Works under section 304 of the Copyright Act, 17 U.S.C. § 304(c)(6)(A). Superman's "super ... sense of smell"
"[D]iamond-shaped "S" insignia on [Superman's] chest"
"[L]ove triangle between Superman, Lois Lane and Clark Kent"
A declaration by this Court regarding the scope of the Shuster Termination Notice is warranted under the Declaratory Judgment Act, 28 U.S.C. § 2201 et seq., to establish the parties' respective rights and obligations with respect to the copyright interest in the Superman material. The Shusters may not seek to terminate copyright interests owned by DC Comics, including those materials listed above. This Third Claim for Relief is advanced in the alternative—i.e., if the Court does not grant DC Comics' First Claim for Relief set forth above and hold that the Shuster Termination Notice is invalid. The Copyright Act establishes an exclusive period between the time a copyright termination notice is served and the effective termination date in which the original copyright grantee may enter into an agreement with the original copyright author or their heirs regarding the rights sought to be recaptured. Section 304(c)(6)(D) provides: "A further grant, or agreement to make a further grant, of any right covered by a terminated grant is valid only if it is made after the effective date of the termination." 17 U.S.C. § 304(c)(6)(D). While the statute bars third parties (like Toberoff and his companies) from trafficking in such future copyright interests during this exclusive time period, it protects the rights and interests of original grantees like DC Comics, providing that "an agreement for such a further grant may be made between the author or [his heirs] and the original grantee or [its successor (e.g., DC Comics)], after the notice of termination has been served." Id. Section 304(c)(6)(D) of the Copyright Act establishes a right of DC Comics from November 10, 2003 (when the Shuster Heirs served the Termination Notice) until October 26, 2013 (the effective date of the Notice), during which DC Comics is the sole party that can enter into an agreement with the Shuster Heirs for the rights sought to be terminated. This right has been described by Congress, in its legislative history, and the United States Court of Appeals as a "right of first refusal." Any restriction or limitation on this period of exclusivity must be deemed unenforceable under section 304(c)(6)(D). Upon information and belief, the Shuster Heirs have entered into agreements that frustrate and impede DC Comics' period of exclusivity. For example, the 2003 Pacific Pictures Agreement grants and assigns the Shuster Heirs' putative present and future copyright interests and provides that "any and all agreements regarding any of the Rights [in Shuster's creations, including copyright] shall be subject to the express written approval" of Pacific Pictures. This improperly allowed Pacific Pictures (and Toberoff) to prevent the Shuster Heirs from entering into an agreement with DC Comics concerning their purported rights—in clear violation of section 304(c)(6)(D). Although Pacific Pictures and the Shuster Heirs purported to cancel the 2001 and 2003 Pacific Pictures Agreements in their September 10, 2004 Letter, this improper agreement was in effect at least from the time it was executed on October 30, 2003 through September 10, 2004, which means that it improperly eliminated most of the first year of DC Comics' period of exclusivity. Moreover, the original 2001 Pacific Pictures Agreement provides that if the Shusters' joint venture with Pacific Pictures is terminated "for any reason," then Pacific Pictures will hold 50% of "the property or assets of the Venture," including all the alleged Shuster Superman copyright interests, as a "tenant in common," meaning that Pacific Pictures and Toberoff still have improperly encumbered, to this day, DC Comics' period of exclusivity. Upon information and belief, Toberoff has induced the Siegel and Shuster Heirs to enter into additional agreements, which prohibit either family from entering into agreements conveying rights to DC Comics without the express approval of all stakeholders in the heirs' rights—i.e., the Siegel Heirs, Shuster Heirs, and Toberoff and his companies. These agreements and others like it that may exist—which upon information and belief remain in effect to this day—violate section 304(c)(6)(D) and impede DC Comics' ability to settle any and all disputes with the Shusters and Siegels and lawfully pursue its business. The Shuster Heirs' agreements with Toberoff, his companies, and the Siegels improperly interfere with DC Comics' period of exclusivity with the Shuster Heirs regarding their purported Superman rights. A declaration by this Court is warranted under the Declaratory Judgment Act, 28 U.S.C. §§ 2201 et seq., to establish the parties' respective rights and obligations with respect to the copyright interest in the Superman material. This declaration should establish that: (a) DC Comics is the sole party with whom the Shuster Heirs can enter into an agreement to convey their putative Superman rights during the exclusivity period, through and including October 26, 2013; (b) any agreement with any third party regarding those putative rights during the exclusivity period is invalid and unenforceable; and (c) any agreements requiring consent of other parties to settle termination claims violate the exclusivity period and, therefore, are invalid and unenforceable. DC Comics seeks an injunction (a) barring the Shuster Heirs from entering into any agreement with any third party regarding the rights sought to be recaptured in the Shuster Termination Notice until October 26, 2013; and (b) restoring to DC Comics its 10-year period of exclusivity. In October 1992, the Shuster Heirs and DC Comics executed a final written agreement "fully settl[ing] all claims" as to "right[s] in any and all work[s] created in whole or in part by ... Joseph Shuster" (the "1992 Agreement"). Since 1992, DC Comics has paid the Shuster Heirs nearly half a million dollars under the 1992 Agreement. To DC Comics' knowledge, the Shuster Heirs have never disputed the validity or existence of the 1992 Agreement, which operated to rescind, revoke, and re-grant all of the Shusters' prior grants of rights in the Superman properties to DC Comics. 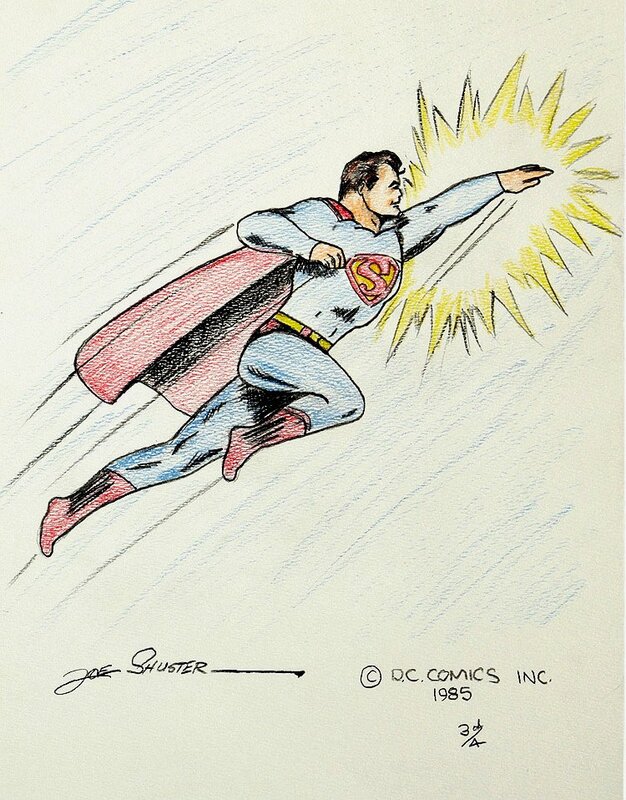 In that 1992 Agreement, the Shuster Heirs further agreed that they would not—either then or in the future—make any claim of right to any work created in whole or part by Joe Shuster. DC Comics' 1992 Agreement with the Shuster Heirs was both a valid contract and had the probability of future economic benefit to DC Comics. The Shuster Heirs fully relinquished their rights under any prior agreement and re-granted to DC Comics all of their Superman-related rights. This confirmation allowed DC Comics to continue freely developing and exploiting those rights without the risk of termination of the alleged Shuster rights or expensive and protracted legal disputes regarding the ownership of those rights. Toberoff and Pacific Pictures were aware of the 1992 Agreement and DC Comics' ongoing business relationship with the Shusters. Toberoff knew that his actions in having his company enter into a joint venture with the Shusters for the purpose of terminating DC Comics' rights were substantially certain to interfere with DC Comics' 1992 Agreement with the Shusters. Toberoff' s ultimate purpose in approaching the Shuster Heirs was to induce them to repudiate the 1992 Agreement and attempt to terminate prior grants of Shuster's rights. For this reason, Toberoff and the Shusters formed a joint venture with Pacific Pictures for the express purpose of "retrieving, enforcing and exploiting all of Joe Shuster's, and his estate's rights, claims, copyrights, property, title and interests in and to Joe Shuster's creations" through "termination pursuant to [17 U.S.C. 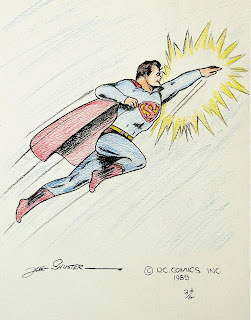 § 304] of any and all grant or transfers by Joe Shuster of any copyright interest in his creations." Toberoff and Pacific Pictures engaged in independently wrongful conduct to achieve this goal. They induced the Shuster Heirs to breach the 1992 Agreement and enter into the illegal copyright-assignment and settlement-consent agreements described above. Toberoff also induced the Shusters to manipulate claims of ownership in Superboy. As the direct result of Toberoff' s and Pacific Pictures' actions, the Shuster Heirs have breached the 1992 Agreement, causing DC Comics to lose the value of the Agreement and forcing DC Comics to incur substantial attorneys' fees and costs in an amount to be proven at trial. DC Comics reached a binding, enforceable agreement with the Siegel Heirs. After the Siegel Heirs served the Superman Termination Notice in 1997, they engaged in negotiations with DC Comics for four years. On October 16, 2001, DC Comics made a settlement offer to the Siegel Heirs. On October 19, 2001, the Siegel Heirs' attorney at the time, Marks, sent a letter to DC Comics outlining the material terms and confirming that the Siegel Heirs "accepted D.C. Comics' offer of October 16, 2001." On October 26, 2001, DC Comics sent a return letter confirming the parties' agreed-upon terms. DC Comics then drafted a long-form contract memorializing the agreement, which it sent to the Siegel Heirs on February 1, 2002. Marks has confirmed that all parties understood that they had a binding agreement. Even in the event that this agreement is finally adjudicated and deemed to be invalid, DC Comics had a long-established economic relationship with the Siegel Heirs giving rise to an interference with prospective economic advantage claim. This relationship dates back as far as 1935, when DC Comics' predecessor hired an unknown writer named Jerome Siegel to write comic strips for its publications. Over the years, Siegel worked on-and-off as an employee of DC Comics and its predecessors. Even after the employment arrangement ended, Siegel continued to benefit from his early work on Superman under the 1975 Agreement, which provided him and his family with an annual pension, medical insurance, and lump payment in exchange for acknowledgement of DC Comics' sole and exclusive ownership of the Superman rights. When a dispute arose in 1997 over the Siegel Heirs' attempt to terminate prior grants of Siegel's share of Superman rights, DC Comics and Siegel commenced negotiations, which lasted over four years. At the time Toberoff approached the Siegel Heirs in 2001, DC Comics and the Siegel Heirs had finally reached an agreement resolving their claims to the Superman and Superboy rights. The economic relationship that the Siegel Heirs and DC Comics had contemplated and agreed to had the probability of future economic benefit to DC Comics. The Siegel Heirs recognized DC Comics' sole and exclusive ownership of all rights in Superman and Superboy, allowing it to continue freely developing and exploiting those rights, and avoid the possibility of an expensive and protracted lawsuit regarding ownership of those rights. Toberoff was well aware of the agreement between DC Comics and the Siegel Heirs. Toberoff has admitted that he tracked the Siegel Heirs' termination efforts through Internet reports. Moreover, upon information and belief, when Toberoff approached the Siegel Heirs and their representatives in late 2001 and 2002 to express interest in purchasing their Superman rights, he was informed that the Siegel Heirs had already reached an agreement with DC Comics. Toberoff knew his actions were substantially certain to interfere with the Siegel Heirs' agreement and ongoing business dealings with DC Comics. Toberoff intentionally engaged in independently wrongful conduct to carry out his interference by, among other things: falsely misrepresenting to the Siegel Heirs that he had a billionaire investor ready to purchase their Superman rights if they repudiated their settlement agreement with DC Comics; falsely representing to the Siegels that he would help them produce a competing Superman motion picture; and wrongly inducing the Siegels to repudiate their agreement and business relationship with DC Comics. As a direct result of Toberoff' s misdeeds, the Siegel Heirs repudiated the Siegel-DC Comics Agreement with DC Comics and ended all further discussions, causing DC Comics to lose the value of the agreement, to lose their ongoing business relationship with the Siegels, and to incur millions of dollars in subsequent legal fees in disputes with the Siegel Heirs. DC Comics has suffered actual damages in an amount to be proven at trial. The various copyright assignment and consent agreements between Toberoff and/or his companies, the Siegel Heirs, and the Shuster Heirs are void and unenforceable, including under California's unfair competition laws, e.g., CAL. BUS. & PROF. CODE § § 17200 et seq. The copyright assignments secured by Toberoff and/or his companies are unlawful and violate DC Comics' rights and interests for the reasons set forth above. The consent agreements Toberoff has procured are void as a matter of law and public policy because they strip the Siegels and Shusters of their right freely to settle their claims and violate DC Comics' concomitant right freely to negotiate settlement of such claims. A declaration by this Court is warranted under the Declaratory Judgment Act, 28 U.S.C. §§ 2201 et seq., to establish the parties' respective rights and obligations with respect to the copyright interest in the Superman material. As to the tort claims against Toberoff and his entities as sued herein, damages in amounts to be determined at trial; An award of reasonable attorneys' fees and costs; and Such other and further relief as this Court deems just and proper. Danny, the Hindus reckon this's the Age of deceit and lies, but - man! - it reminds me of nothing so much as medieval England when the robber barons were using the law of the land and the 'authority' of the king, (John), to fleece the masses in every conceivable way, (Muhammed arose in similar circumstances). No one was exempt from the law of the land, they insisted, (except them). If John had a particular vested interest in signing the Magna Carta it was to finally start seeing some of the taxes being collected in his name. But the real hero of the hour was William Marshall, who terrified the living crap out of EVERYONE so much he could knock both sides' heads together for the sake of the people. But since we don't have a William Marshall, we're not go'n'o get a Magna Carta, so I'm not holding out much hope the Shusters and the Siegels get to fully exploit the peanuts they've been awarded. This is such a sad situation. MT does seem worse than DC or Marvel this go around. Sad. It is interesting that Seigle and Shuster were treated considerably better buy DC than we had been led to believe all these years. It sounds as like they spent there life spending any money they made on lawyers. It is sad.